An idea occurred to me a few days ago. I should write about the tools I’m using now that I no longer have a house. Living small requires rethinking almost everything one does. I still cook for myself, whether I’m on the road or staying someplace. That means there are certain tools that are required. I’m learning as I go. A couple of years ago I bought this small Bodum personal French press. I also have a small hand grinder (that I’ll write about later). I bought the press so that I could make a single cup of coffee in the afternoon if I wanted coffee but didn’t want to make a full pot. It got some use when I had the house, but not as much as I expected. So, I started carrying it when I travel. However, using it requires heat to boil water. (There is another topic for writing. Don’t worry, I have a story there as well.) After this last trip, I realized I really like making my own coffee. McDonald’s coffee is much improved over the last couple of years with their new approach. (Kudos to McDonald’s for making that improvement! It’s one of the things I really like about the store.) But I really prefer my own choice of beans (or grounds) and my own method of preparation. I’m not really a snob, but I know what I like. The body of the Bodum is glass, so care is required. But, it’s relatively easy to clean and is heat resistant. Just be careful with the body to mitigate the potential for breakage. The screen is fairly coarse so a coarse grind is required. Use is simple — grind coffee, add grounds to press, boil water (I suggest boiling water while grinding coffee), add water, steep, stir before pressing (I don’t do this step), and then press slowly. If you are not picky about sediment in the bottom of your cup, the grind is less relevant. I don’t mind a little sediment, but think I’ll work on my grind to see if I can get it a bit more coarse than I currently have. 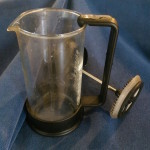 Once you decant the coffee, set the press aside to cool while you enjoy your coffee. Then dump out the grounds and rinse the press. If oils accumulate, I suggest wiping them out with a paper (or cloth) towel. I will not use detergent on my press. 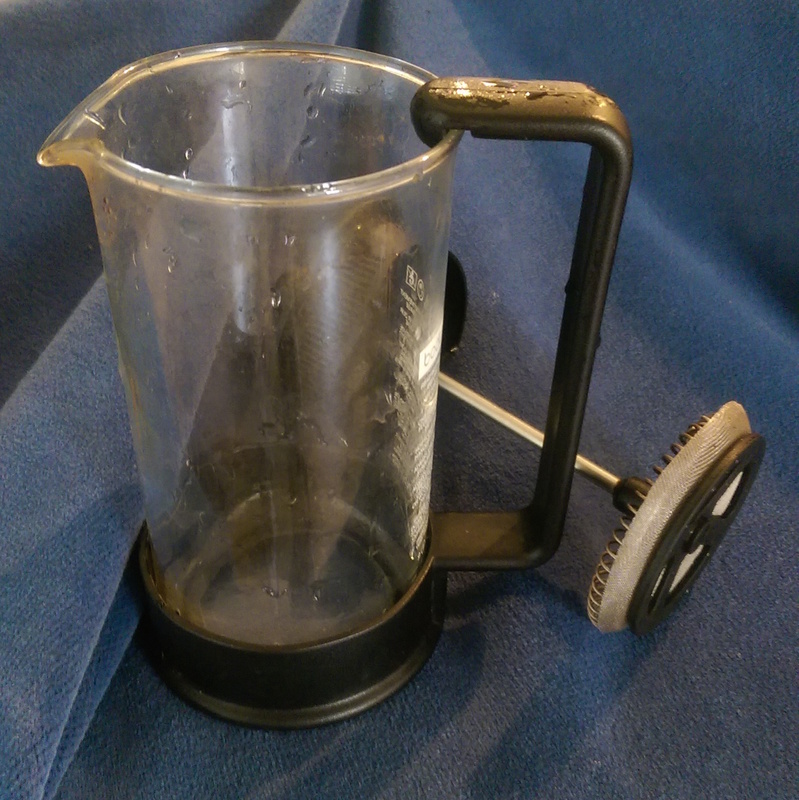 It’s simple, reliable, produces consistent coffee, and is easy to keep clean. With care, this press will last me the remainder of my life. I like it and would recommend it.